Product prices and availability are accurate as of 2019-04-12 14:24:30 EDT and are subject to change. Any price and availability information displayed on http://www.amazon.com/ at the time of purchase will apply to the purchase of this product. 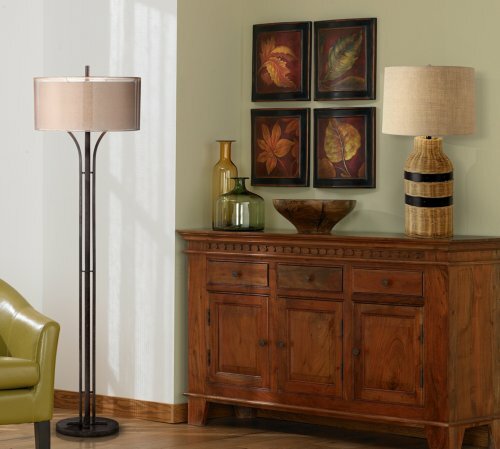 The Tybee table lamp is a handsome accessory for dressing up an empty table or nightstand. Bronze finish bands with nail heads wrap around a wicker base and lead up to a burlap drum shade for a look that combines rustic and industrial styles. Stands at 32" high, and takes one 150 watt medium base bulb (not included). Industrial table lamp. Wicker base with bronze finish bands. 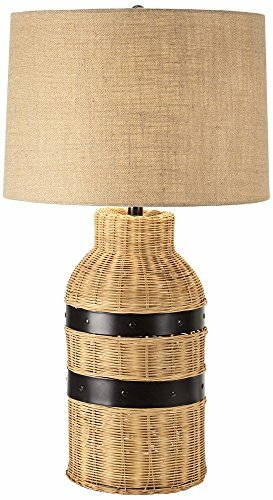 Burlap drum shade. On-off switch. Takes one 150 watt medium base bulb (not included). 32" high. Shade is 16 1/2" across the top, 17 1/2" across the bottom, 12" on the slant. Industrial table lamp. 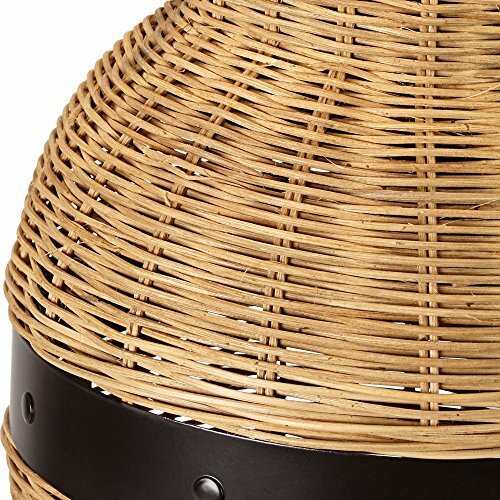 Wicker base with bronze finish bands. Burlap drum shade. On-off switch. Takes one 150 watt medium base bulb (not included).